Start off your visit on the 28th (Fri): take in panoramic vistas at Stratosphere Tower and then examine the collection at The Mob Museum. On the 29th (Sat), you'll have a packed day of sightseeing: push the limits with an extreme tour and then explore the stunning scenery at Red Rock Canyon National Conservation Area. For ratings, maps, traveler tips, and other tourist information, refer to the Las Vegas travel itinerary planner. Calgary, Canada to Las Vegas is an approximately 6.5-hour flight. You can also drive; or take a bus. Due to the time zone difference, you'll gain 1 hour traveling from Calgary to Las Vegas. Prepare for much hotter weather when traveling from Calgary in June: high temperatures in Las Vegas hover around 46°C and lows are around 29°C. Wrap up your sightseeing on the 30th (Sun) early enough to drive to Joshua Tree National Park. Kick off your visit on the 1st (Mon): take in the dramatic natural features at Keys View, admire the verdant scenery at Hidden Valley Nature Trail, and then explore the striking landscape at Skull Rock. For photos, maps, reviews, and tourist information, read our Joshua Tree National Park trip planning tool . Drive from Las Vegas to Joshua Tree National Park in 5.5 hours. Alternatively, you can do a combination of bus and car. In July, daily temperatures in Joshua Tree National Park can reach 46°C, while at night they dip to 30°C. Wrap up your sightseeing on the 1st (Mon) to allow time to drive to Anaheim. Step out of Anaheim with an excursion to Dolphin & Whale Watching in Dana Point--about 40 minutes away. 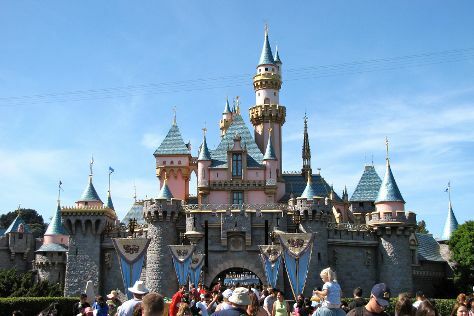 Have a day of magic on the 3rd (Wed) at Disney California Adventure Park. Have a day of magic on the 2nd (Tue) at Disneyland Park. There's more to do: make an unforgettable trip to Downtown Disney and experience the excitement of Star Wars Launch Bay. For where to stay, photos, more things to do, and more tourist information, read our Anaheim trip planner. You can drive from Joshua Tree National Park to Anaheim in 3 hours. Other options are to do a combination of car and bus; or do a combination of car, flight, and bus. Prepare for a bit cooler weather when traveling from Joshua Tree National Park in July: high temperatures in Anaheim hover around 35°C and lows are around 23°C. Finish your sightseeing early on the 4th (Thu) so you can drive to Santa Barbara. On the 5th (Fri), ponder the world of politics at Santa Barbara County Courthouse, then steep yourself in history at Old Mission Santa Barbara, then meet the residents at Santa Barbara Zoo, and finally take a leisurely stroll along Stearns Wharf. Get ready for a full day of sightseeing on the next day: awaken your taste buds at some of the top wineries in the area. To see ratings, where to stay, photos, and more tourist information, read our Santa Barbara trip planner . Traveling by car from Anaheim to Santa Barbara takes 2.5 hours. Alternatively, you can take a train; or do a combination of bus and flight. Traveling from Anaheim in July, expect Santa Barbara to be a bit cooler, temps between 28°C and 18°C. Finish your sightseeing early on the 6th (Sat) to allow enough time to drive to Big Sur. On the 7th (Sun), enjoy the sand and surf at Pfeiffer State Beach, then admire the majestic nature at Julia Pfeiffer Burns State Park, then take in the dramatic scenery at McWay Falls, and finally trek along Partington Cove. Keep things going the next day: tour the pleasant surroundings at Garland Ranch Regional Park, immerse yourself in nature at Pfeiffer Big Sur State Park, and then snap pictures at Bixby Bridge. For other places to visit, photos, reviews, and more tourist information, read Big Sur journey planning tool . Traveling by car from Santa Barbara to Big Sur takes 5.5 hours. Alternatively, you can do a combination of bus and flight; or fly. Expect little chillier temperatures when traveling from Santa Barbara in July; daily highs in Big Sur reach 24°C and lows reach 15°C. Finish up your sightseeing early on the 8th (Mon) so you can go by car to San Francisco. Start off your visit on the 9th (Tue): snap pictures at Golden Gate Bridge, then examine the collection at SS Jeremiah O'Brien, then take a leisurely stroll along Fisherman's Wharf, and finally step off the mainland to explore Alcatraz Island. Here are some ideas for day two: engage your brain at Exploratorium and then make a trip to Golden Gate Park. Plan my trip to San Francisco with suggested itineraries provided by Inspirock. You can drive from Big Sur to San Francisco in 3 hours. Alternatively, you can do a combination of taxi and flight; or do a combination of taxi and train. In July in San Francisco, expect temperatures between 26°C during the day and 16°C at night. Finish your sightseeing early on the 10th (Wed) so you can travel to Redwood National Park. On the 11th (Thu), tour the pleasant surroundings at Redwood National Park. Get ready for a full day of sightseeing on the next day: trek along California Coastal Trail and then trek along Trillium Falls Hike. For photos, reviews, more things to do, and more tourist information, refer to the Redwood National Park trip planning app . You can do a combination of flight and taxi from San Francisco to Redwood National Park in 4 hours. Alternatively, you can do a combination of flight, bus, and taxi; or drive. Prepare for slightly colder weather when traveling from San Francisco in July: high temperatures in Redwood National Park hover around 20°C and lows are around 13°C. Finish your sightseeing early on the 12th (Fri) so you can travel to Bend. Start off your visit on the 13th (Sat): admire the majestic nature at Smith Rock State Park, relax and float downstream with a rafting and tubing tour, and then stroll through Drake Park. To see reviews and other tourist information, read Bend travel route builder app . You can drive from Redwood National Park to Bend in 7 hours. Another option is to fly. Traveling from Redwood National Park in July, you will find days in Bend are warmer (34°C), and nights are about the same (13°C). Wrap up your sightseeing by early afternoon on the 14th (Sun) to allow time for travel back home.